My nail art collection is starting to resemble a dragon's hoard. I have garnered a great pile of shiny nail stickers by several beauty brands thanks to giveaways, gifts and Kmart clearance bins. Last week I tried Sleek Stick by Essie for the first time. Applying the UV cured nail appliques was similar to my experience with L'Oreal Paris Colour Riche Nail Lingerie stickers. 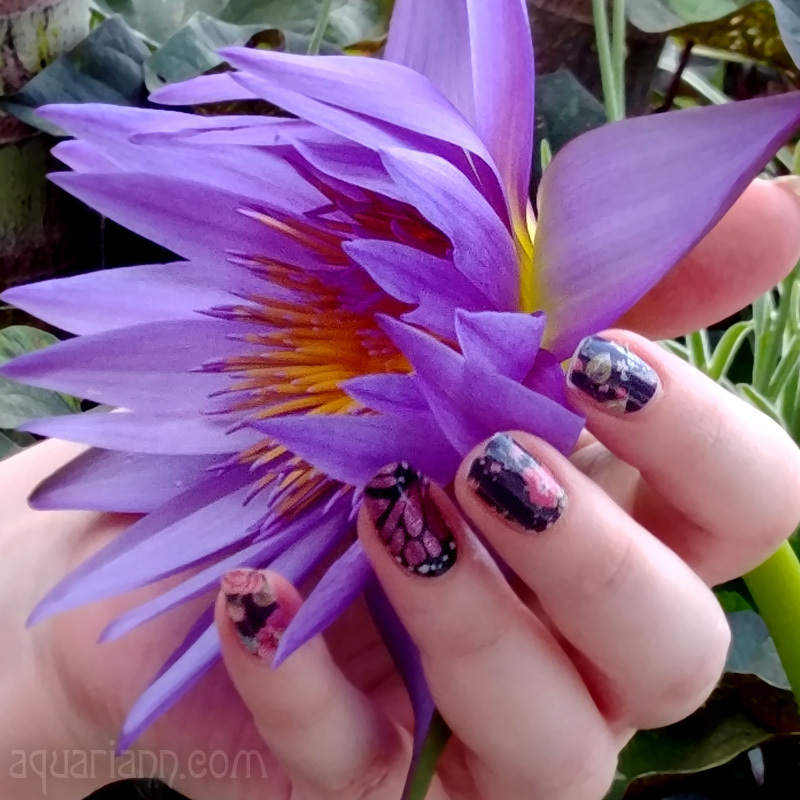 They went on easily and smoothly, without the wrinkles that I get when using Jamberry Nails wraps on my curved claws. Unfortunately, the Essie brand didn't provide a "long lasting wear" as the packaging claimed. The high gloss silver began rubbing off within two days. Fortunately, given the sneek-e scale design, the chipping wasn't too noticeable until day 7. Removing them was also easy - I was afraid I'd have to scrub them off like I do with Sally Hansen Salon Effects nail polish strips. But they quickly peeled off in one piece like Jamberry Nails do. I probably wouldn't spend much of my own gold on trying Sleek Sticks again, but I did enjoy wearing them! And they'd be an awesome accessory for a dragon costume, since they'd only need to burn bright for a day or two. Want to be a guest blogger for my Manicure Monday when I don't have new nails of my own to show off? 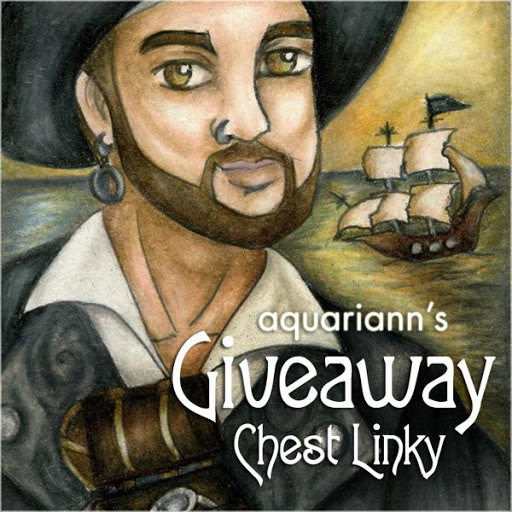 Please fill out the form on my contact page if you're interested in a free feature. 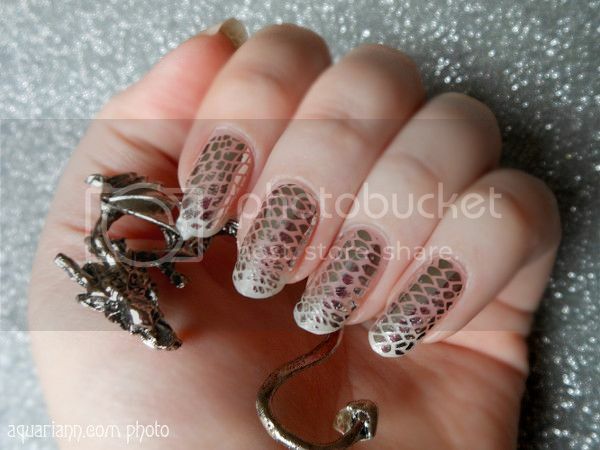 Or if you've done a dragon manicure in the past, comment with the link and I'll add it to my featured finds below. 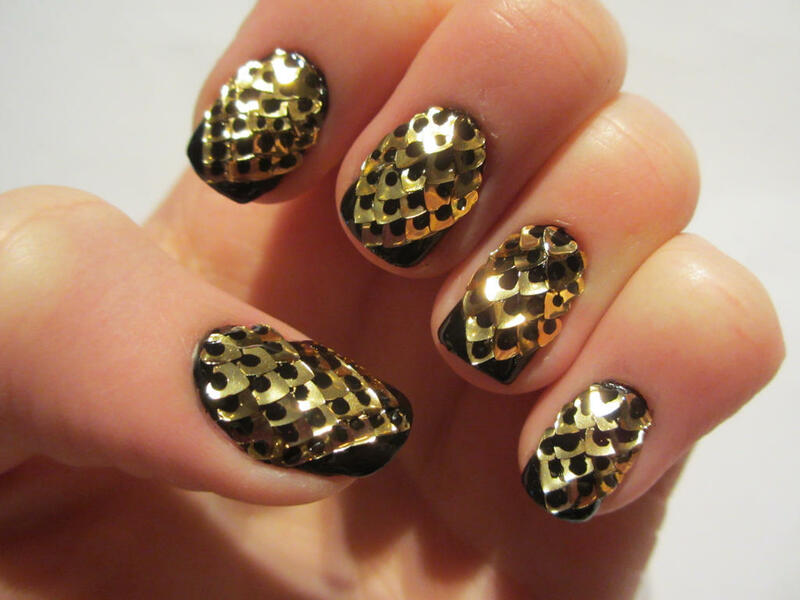 I don't "do" nails, but these would tempt me. Oh my...it looks super cool! 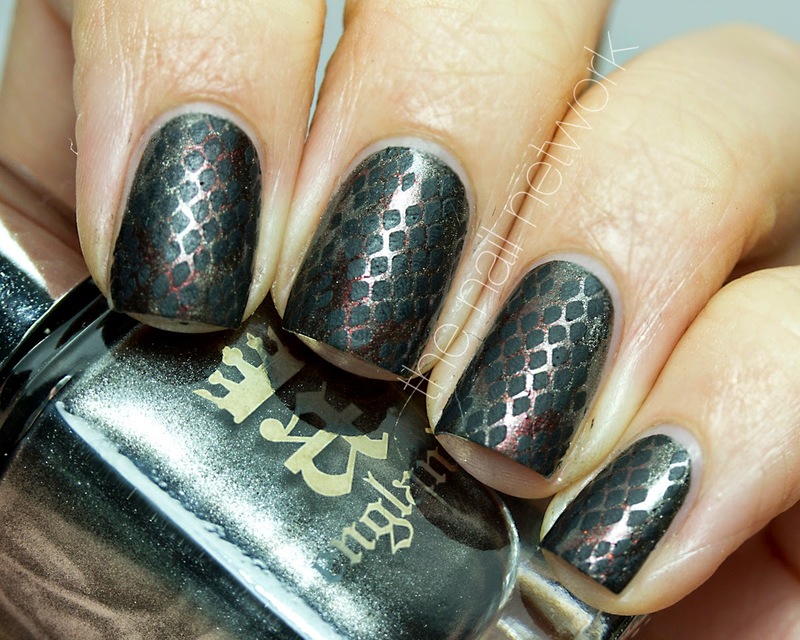 Really love the dragon hoard pattern..
Love nails in your blog, all of them! This design is just fantastic! This is a very fun design! I wish they stayed on longer, though! That's a disappointment for only 2 full days of wear before starting to rub off. I'm really surprised by that. Especially since these are brand name and highly regarded. I will save my $$ when it comes to the Sleek Stick! The design is super fab, though. I really like it!